Sacramento Home & Garden Show | What do you want to do with your yard? 04 Feb What do you want to do with your yard? Whether it is landscapers, masonry experts, pool contractors, edible garden designers and more – you can meet them all in one place at the Sacramento Home and Garden Show at Cal Expo on March 1 – 3, 2019. 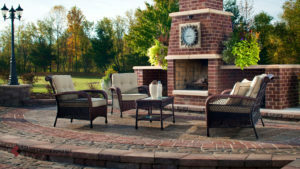 Think about how you use your outdoor space. Are you a yoga enthusiast who would enjoy stretching under a new gazebo, a chef who needs an outdoor kitchen or a golfer who likes putting on your own green? Bring your ideas to discuss with the experts who will be at the show and are looking forward to meeting you! Gates open on Friday, March 1 at Noon.